Fast access control procedures can set the entire tone of your event. Scanning barcodes instead of using simple checklists, whether paper or electronic, can dramatically speed up the process and make your company look more professional. Check-in online or offline. Unstable or slow Internet connectivity is one of the most common problems event organizers face. Instantly check the guest’s barcode against the guest list. 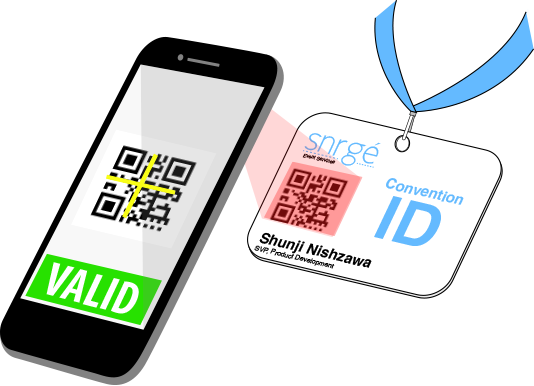 The ideal way to enable that is with automatic syncing of the guest list (database) directly to the device(s) used to scan the guest’s barcode. This syncing should occur in the background so the app user isn’t interrupted. Have a backup option to manually enter the guest or lookup the guest in the database in case the guest forgets their credentials or if the barcode is damaged. Present important information about the guest to the app user after each scan. Alert the app user if the barcode has already been scanned. App user training should not be required. Sign in. Scan. Simple. Ability to share scan records to authorized administrators, salespeople and clients. Track capacity and view who’s checked in and who’s not yet checked in. Check guest in and out of the event, including timestamps. Know who is actually doing the scanning. Feel free to reach out on the codeREADr.com website’s Live Chat is you have any questions.